A phrase referring to the video game Dark Souls. Praise the Sun! 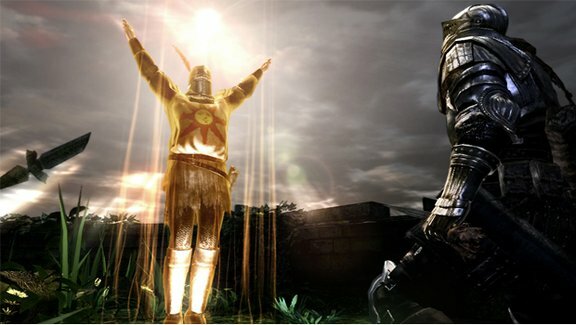 is a greeting used by the character Solaire of Astora as well as other members of the Warriors of Sunlight covenant. The greeting is accompanied by a gesture in which the character in question will stand fully upright and stretch their arms toward the sun. The phrase can be commonly heard in Bonfireside Chat as well as several other Duckfeed shows.